Do psychics have the ability to see the future? 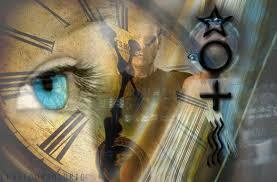 Some psychics claim the Tarot Cards and other oracles can read the future. Many mediums say that as we have personal responsibility for our destiny the future is not set and therefore cannot be known. Psychics who can view the future are a hot commodity for obvious reasons! It’s not only a rare skill but a tricky one as it’s not as cut and dry as it seems. Below are some of the anomalies and highlights of seeing the future. Involuntary: These visions are often during meditation or sleep and are not at the conscious request of the subject. They are incidents that personally relate to the person such as a losing a member of their own family, a related company layoff, etc. This ability is inherent to us all, but few develop it beyond that. Naturally sensitive people do exist and even ones that are not ‘gifted’ per se, can develop this ability. How are either possible? All events and objects have vibrational patterns and frequencies. Global or deeply personal events have larger vibrational imprints than what your neighbor did for lunch unless it was very interesting to your mind. What this means is, the more it impacts the masses, or your own life, the bigger the impression, or frequency. A larger frequency means it can span greater lengths of non-linear time and space. A firing may be seen days before the event; an event the size of 9 / 11 will be seen months in advance; and something like a natural phenomenon of great proportion will be seen years or decades in advance. This is often why normal or positive events aren’t witnessed in subtle terms, because their vibrational imprint isn’t near the level of something that greatly disturbs people emotionally. This is also why prophets and psychics (like Nostradamus, Edgar Cayce, etc.) can see large vibrational events centuries before they occur. The emotions of six million people are going to have a far greater impact than the emotions of a dozen people. This does not mean, however, that small vibrational events can’t be seen. They are just harder to see, and don’t generally happen during involuntary sessions. What I mean by this is, without knowing you, a psychic won’t see you get fired from your job, because it doesn’t affect them personally and it isn’t big enough vibrationally to get picked up on their radar. However, if you wanted them to voluntarily detect your future, they can specifically probe the higher self, which can pick up any event, big or small. But the contact still has to be made at some point between the psychic and the person. Ịs the future set in stone? No. The future is only a probable one. This means it is changeable. However, if I state that something will happen, and nothing is done to alter the course, the outcome will most likely happen (assuming I was a very good psychic!). I may see you getting sick because of bad lifestyle choices and you can chose to ignore the vision, or change habits, just as I can tell you that you’ll be wearing blue tomorrow and you can voluntarily chose to wear red. Can we mold our own future? Absolutely. This is why many psychics don’t like to tell people what they will be doing in the future because that is their choice. Most of your future is determined by your attitudes, choices, personal programming, and self-limiting (or unlimited) beliefs. Instead of telling you about your “probable” future, it’s much better to help you program an outstanding future, which anyone can have. Previous How Do I Know if I Have Psychic Abilities?